Celebrating 50 years of innovation, @3M Window Film continues to protect the people & places that matter most. ST. PAUL, Minn.--(BUSINESS WIRE)--When enjoying a sunny day at home or at the office, the last thing anyone wants to worry about is cooling costs or the potential effects of UV exposure. However, once your air conditioning bill arrives in the mail or your upholstery fades beyond recognition, the damage has already occurred, affecting your wallet and your design aesthetic. Recognizing the need to protect the people and items that matter most, 50 years ago, 3M designed a Window Film that continues to deliver outstanding sun control, unparalleled comfort and UV protection. Today, 3M is providing Window Films encompassing everything from sun control to safety and security. Individuals across the country have installed the product in varied locations including a home in Sausalito, Calif. with 180-degree views of the San Francisco Bay and the Rock and Roll Hall of Fame and Museum, home of Michael Jackson’s suits and Chuck Berry’s guitar. Despite the unique components of each installation, every customer shared a common goal – protecting valuable items without changing the appearance of their windows. 3M™ Sun Control Window Film allows you to let the light in while helping to keep the heat and damage out. Best of all you can get these great benefits without changing the appearance of your home. 3M™ Daylight Redirecting Film utilizes micro-replication to redirect light that would have originally hit the floor a few feet from the window, up onto the ceiling, helping to light the room as deep as 40 feet from the window. 3M™ Dichroic Glass Finishes Film provides the high-end, beautifully artistic look of dichroic glass without the high-end cost. 3M™ Safety & Security Window Film and Attachment Systems can do more than shield you from high energy bills. They can help protect you from unwelcome events, such as break and entry, natural disasters, and bomb blasts. 3M™ Scotchshield™ Safety & Security Window Films deliver excellent performance as compared to standard polyester films in blast and impact events, yet still maintain a high level of optical clarity. 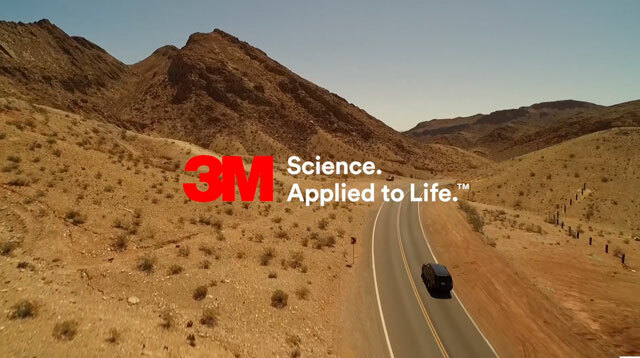 3M™ Automotive Window Film helps improve comfort and protect car interiors and occupants which is a hallmark of 3M Automotive Window Films. 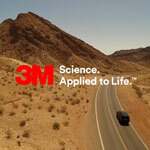 3M’s Renewable Energy Division (RED) is helping lead the way to a sustainable energy future. Critical advancements in 3M materials used in solar photovoltaic and wind turbine components are driving down the cost per watt, while improving scalability and reliability. 3M™ Window Films help control the sun’s heat and UV rays, enabling cooler, more comfortable vehicles and creating energy savings for business, government and residential buildings. The window films also provide added safety and security, during such events as attempted break-ins and large-scale external forces. 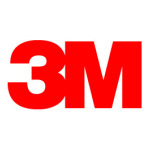 For more information on 3M Window Films, please visit: 3M.com/Remarkable.